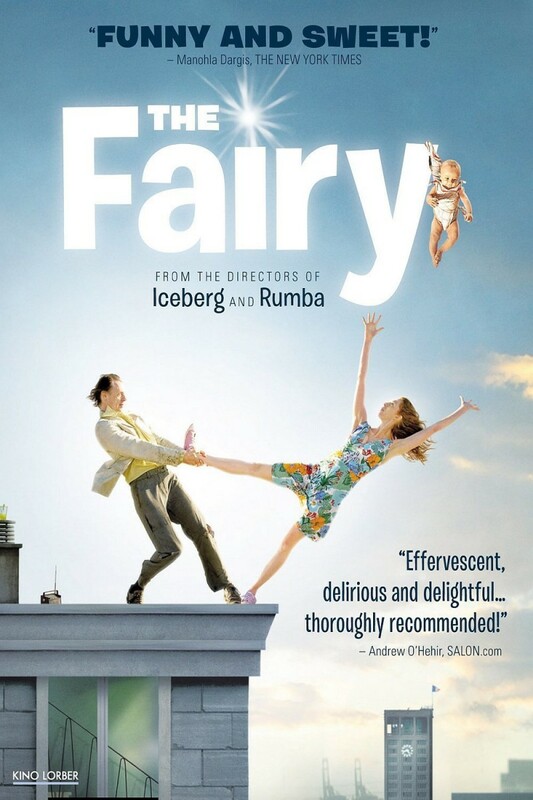 The Fairy DVD and Blu-ray release date was set for July 17, 2012. In the seaport town of Le Havre, Dom is a hotel clerk working the night shift. He is accustomed to off-beat guests, so isn't fazed when a woman, Fiona, appears at the hotel claiming to be a fairy. She offers him three wishes in exchange for a room at the hotel. Playing along, Dom asks for a scooter and an unlimited supply of gas. When she actually brings him a scooter, he begins to wonder at her story, and they spend more and more time together. Just as he is falling in love with Fiona, she disappears, turning up at a hospital to give birth to his child. Dom, now realizing that she isn't a fairy after all, devises a plan to bring her home.